I'm hoping to read 3-4 review books, plus a book tour book. 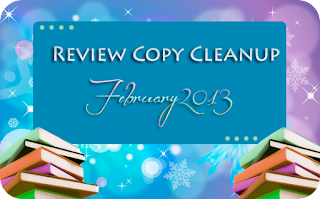 Sign up for Review Copy Clean-Up by February 15 HERE (or click the button above). Good luck Michelle! I'm aiming for 4 books too :) Let's hope we can both finish them in time.